Products Show Our Service High quality Passed the ISO9001:2008 quality system authentication. High quality Passed the ROHS authentication. Q: How long is your delivery time9 A: Generally it is 5-10 days if the goods are in stock. High quality Passed the ROHS authentication. Q: How long is your delivery time9 A: Generally it is 5-10 days if the goods are in stock. or it is 20-30 days if the goods are not in stock, it is according to quantity. Why you choose us 9 1. The quality of our productions is very high. 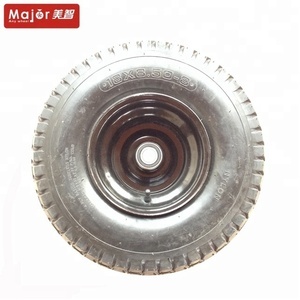 2.Q:How about the quality of this prouct9 A: The quality of our products is very high, because it is made of steel rim. 3.Q:Are you manufacturer or trading company9 A:We are manufacturer. Qingdao Weitai Special Hand Truck Co., Ltd.
Qingdao Tianhai Rubber & Plastic Products Co., Ltd.
1)Select suitable model 2)Design or improve products according to clients' special request 3)Prepare sample . 2.Services during the sale 1)Recheck and accept products ahead of delivery 2)Help clients to draft solving plans 3.After-sale services 1)providing considerate services 2)Answering all client the assembling question 3)Taking responsibility if any technical problem 4)Spare parts replacement . 4.All products are guaranteed for 12 months as long as resonable use, in shelf life, complaint will be handled within 48 hours (except Chinese festival) Contact us Any doubt or interest, feel free to contact us! Product specifications complete, the main industrial production areas; products mainly sell domestic and foreign markets and Southeast Asia. 2.Can I make my own design9 Yes,customized order also welcomed,please kindly send us the design and we will make the perfect products for you. 4.Could you send me a quotation9 Yes,please kindly give us the models or photos,size,quantity,and we will offer our best price for you. 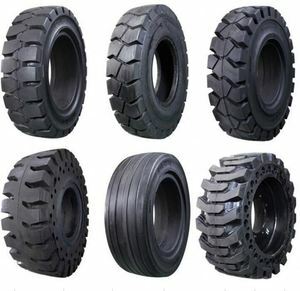 Alibaba.com offers 11,470 pneumatic rubber wheel products. About 63% of these are material handling equipment parts, 6% are other rubber products. A wide variety of pneumatic rubber wheel options are available to you, such as aluminium, plastic, and stainless steel. You can also choose from free samples, paid samples. 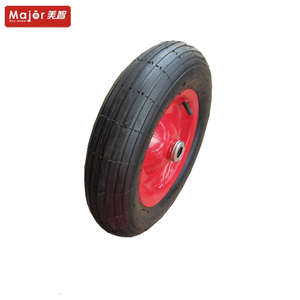 There are 11,467 pneumatic rubber wheel suppliers, mainly located in Asia. 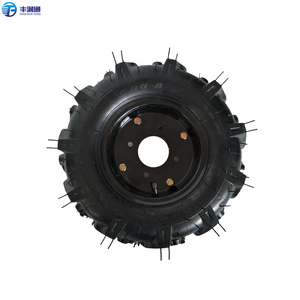 The top supplying countries are China (Mainland), Taiwan, and United States, which supply 99%, 1%, and 1% of pneumatic rubber wheel respectively. 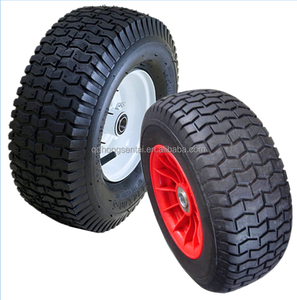 Pneumatic rubber wheel products are most popular in North America, Northern Europe, and South America. You can ensure product safety by selecting from certified suppliers, including 1,349 with ISO9001, 577 with Other, and 131 with OHSAS18001 certification.